We have a brand new offer on our favorite media player for Mac OS X – Elmedia Player Pro. Head on over to Elmedia.com and at order checkout, use coupon code “ELMEDIA-TWITTER-15” to save 15% instantly on Elmedia Player PRO. Just make sure the code is copied exactly how it appears here but just without the quotes. If you don’t include the capital letters or the dashes, it would apply the deal. So with 15% off, you will be savings $3.00, dropping the price down to $16.96. You can also use the same coupon to save on the Family Pack that lets you install the player on up to 3 Macs. Coupon valid through April 15, 2019. If you currently own SWF & FLV Player PRO then you can upgrade to Elmedia Player PRO at 50% off the regular price. With the upgrade, you will now not only be able to run SWF and FLV files as before, but also Silverlight (XAP), Real media (RM, RV, RMVB), AVI, MOV, MP4, and WMV formats as well. To qualify for the upgrade price you will neeed to be able to provide your previous order ID and the email associated with your original purchase. 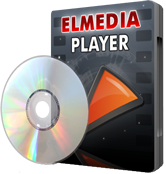 If you haven’t tried Elmedia Player, there is a free version of it available. It doesn’t have all of the features as the Pro version but will playback SWF, FLV, XAP (SilverLight) and RM (RealMedia) videos. 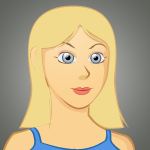 Unlike a free trial, there is no time limit to use the light version but you just won’t have all of the features and download capabilities found in the Pro version.